Games, Crafts, Singing, and most importantly learning about JESUS! 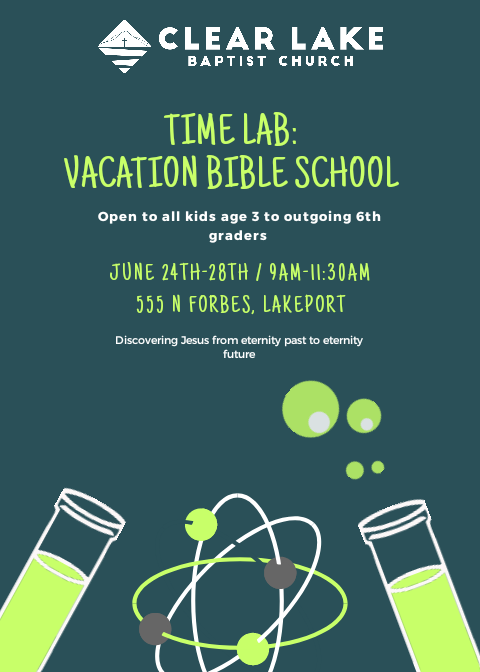 Come out to this year’s VBS as we discover Jesus from eternity past to eternity future. Pre-register by June 16th to skip the line!